From the wiki: “Like most wards in the east shitamachi [low city] of Tokyo, Fukagawa is not a place where wealth is overly evident, but neither is want. While by no means a sleepy hollow, it has none of the pent-up-ness of the central business districts, or the brittle proud-of-itself chic of the city’s shopping meccas only a few stops west. 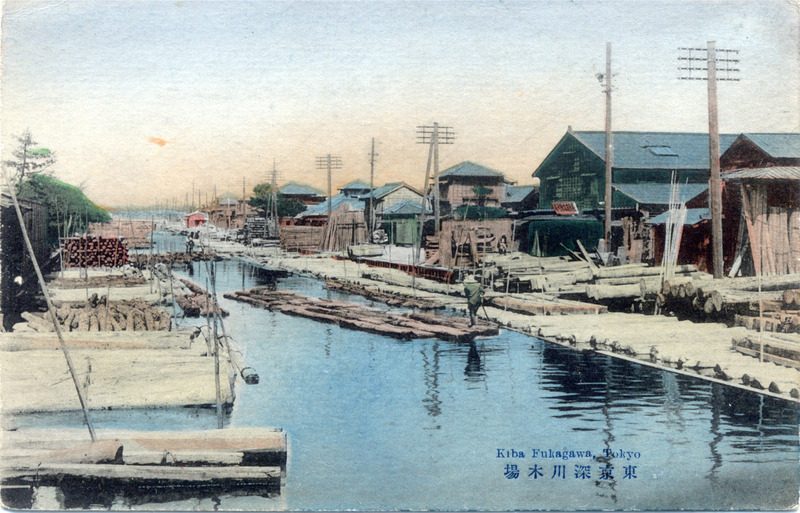 “Fukagawa, which means ‘deep river’, was reclaimed from the sea beginning in the 1600’s, shortly after the establishment of Edo (now Tokyo), and it soon became a large merchant district of the feudal capital.